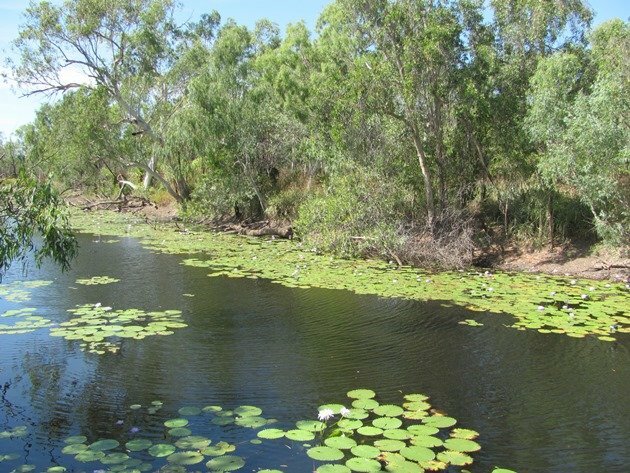 Following on from our overnight camp at Goanna Creek and not leaving too early due to enjoying the pleasure of so many birds we headed for the Caranbirini Conservation Reserve, which is about 45 kilometres/28 miles south of Borroloola. 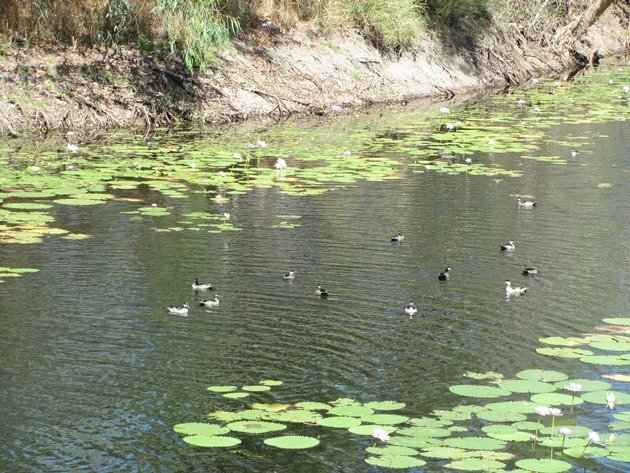 It is not far off the bitumen on a well-maintained gravel road and it is only a short walk to the Caranbirini waterhole, which remains full during the dry months and is easily accessible. A large hide offers views from high up over the waterhole and there were large numbers of Green Pygmy-geese present during our visit. Sitting for a while you will soon realise there are a lot of different birds coming and going to the water as well as those obviously present. Blue-winged Kookaburras, Red-winged Parrots, White-gaped Honeyeaters, Red-collared Lorikeets, Red-tailed Black Cockatoos, Galahs , Magpie-larks and Paperbark Flycatchers ensured the area was not peaceful! Other waterbirds present were Little Black Cormorants, Little Pied Cormorants, White-faced Heron and a secretive Dusky Moorhen that did eventually come partially out of the shadows and stand on a log for us! 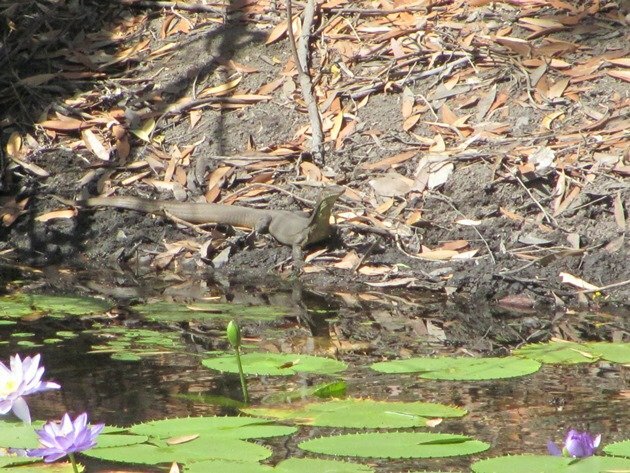 A Water Monitor also caused a bit of a commotion when it suddenly appeared on the far bank and caused an Azure Kingfisher to move further down the waterhole. 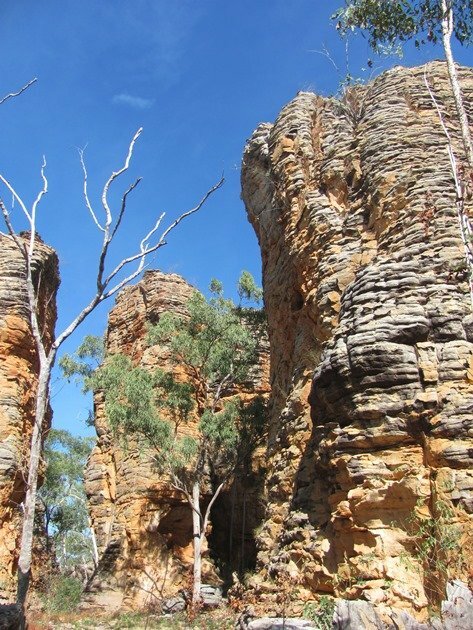 We then decided to take a walk on the shorter trail through the Lost City rock formations, which the reserve is renowned for. Details of the walks are available for printing online here. It is hard to do the formations justice, because they are impressive and so tall. Of course it is ideal Sandstone Shrike-thrush country and there were at least two present. In the middle of all of the formations we discovered a group of native trees that were flowering and so stopped and sat on a rock for some time to see what bird species were in the area. Brown Honeyeaters, Yellow-tinted Honeyeaters, Bar-breasted Honeyeaters, Rufous-throated Honeyeaters, Little Friarbirds, Silver-crowned Friarbird, Varied Lorikeets, Jacky Winters, Little Woodswallows and Striated Pardalotes were soon observed and turning to the skies we added Whistling Kites, Black Kites, Little Eagle and Square-tailed Kite. We also did the longer loop trail and added more species to our list for the reserve including Horsefield’s Bronze Cuckoo, Olive-backed Oriole, Sacred Kingfisher, Peaceful Doves, Bar-shouldered Doves, Blue-faced Honeyeaters, Rufous Whistlers, Black-tailed Treecreepers, Black-faced Cuckoo Shrikes, White-bellied Cuckoo Shrikes, Pheasant Coucal, Weebill, Crimson Finch and Double-barred Finch to name a few! Red-backed Fairywrens are often very vocal as you approach and sometimes you are lucky and they are inquisitive! 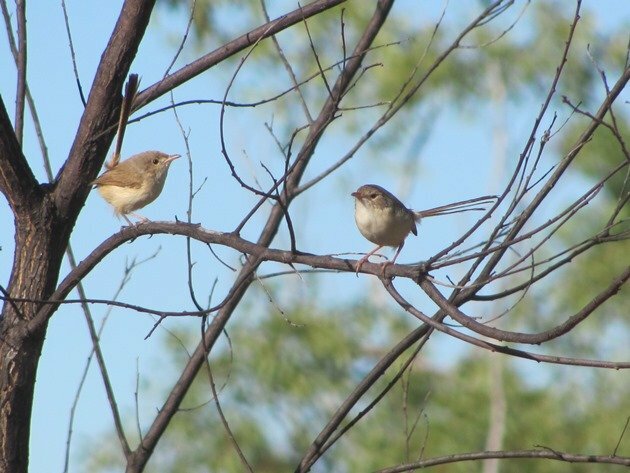 A pair of female Red-backed Fairywrens were soon very close to us against the trail as we clambered along the ridge. 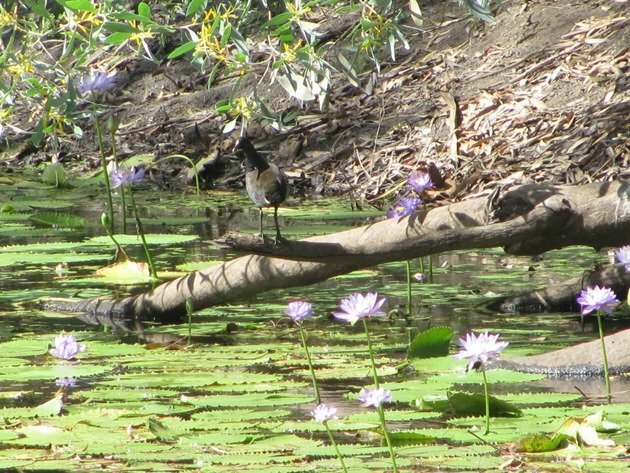 Purple-crowned Fairywrens were also in the reserve, but we found them closer to the waterhole. 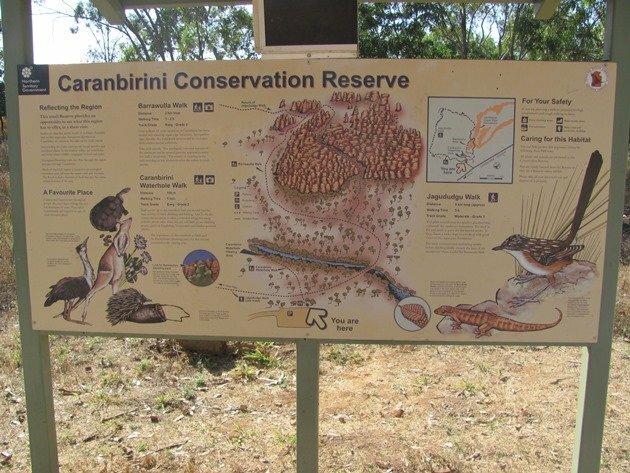 We would highly recommend a visit to the Caranbirini Conservation Reserve should you happen to be travelling in the Northern Territory! We had in excess of 65 bird species, although we did not see the two birds on the display board-Australian Bustard and Carpentaria Grasswren. If rock formations are what you are chasing then you also can’t go wrong here! 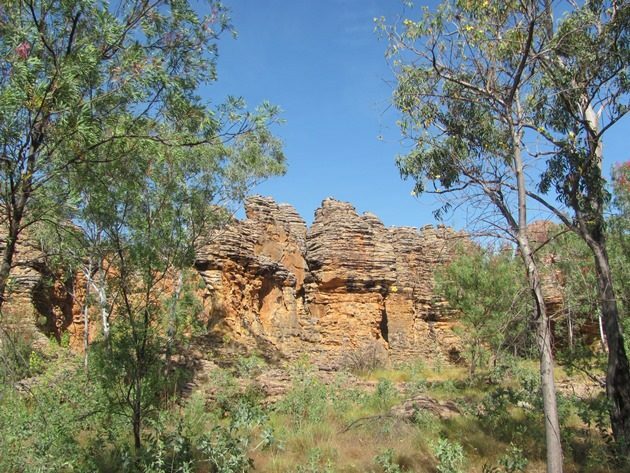 There are numerous “Lost Cities” in the Northern Territory, but these are easily accessible with a conventional vehicle. Where Are You Birding This Second Weekend of January 2016?